Bangladesh Road Transport Corporation is briefly known as BRTC. The bus service of BRTC is available across Bangladesh. This a transport company for mostly passengers and cargo services. The government owned company was established in 1961 and it was reorganized after the Liberation War of 1971. It has 1116 passenger buses ad 140 cargo trucks running all over the country. The bus depots are situated in Kamlapur near the railway station, Fulbaria near Gulistan. These depots are operating and maintaining the services across the country. BRTC operates transport service for passengers with safe, efficient and reliable transportation in an affordable cost. Moreover, it also provides transport services and new routes in the country. It’s playing a vital role in the transport sector of Bangladesh. The company operates driving schools to deliver driving license and promotes tourism in the country and foreign countries via land-routes. It also offers training facilities to the drivers and mechanics for the in-transport skill development in the transport sector. The company provides intercity bus services in the most of the greater districts. It also has bus services for students of university and school. 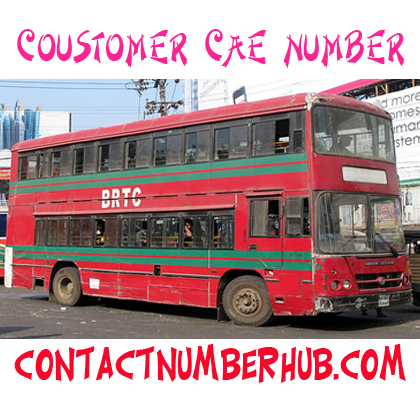 Furthermore, its international bus service is started since 1999 in the Dhaka-Kolkata route. It has intercity bus services with inter-district services. It provides bus services for university students. They provide school bus services. It is operating Dhaka – Kolkata International Service Science 9 July 1999 and it has started Dhaka-Agartala bus services since 2003. 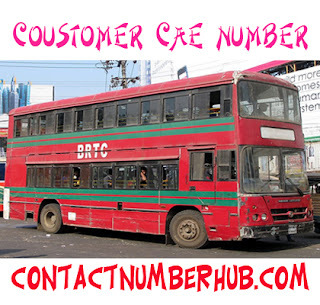 It seems you are looking for the contact details of BRTC bus counters. So, let’s get contact address, official website and phone numbers of the company. ☮ From Abdullahpur to Motijheel via Firmgate. ☮ From Balughat to Cantonment to Motijheel via Firmgate. ☮ From Abdullahpur to Azimpur via Manik Mia Avenue. ☮ From Gazipur to Gulistan via Firmgate. ☮ From Mirpur to Motijheel via Firmgate. ☮ From Gabtoli to Gulistan via Firmgate. ☮ From Gabtoli to Khilgaon via Gulshan1. ☮ From Rupnagar to Motijheel via Firmgate. ☮ From Mohammadpur to Badda via Mohakhali. ☮ From Nabinagar to Gulistan via Firmgate. ☮ From Mohammadpur to Gulshan2 via Firmgate Police Box. 1. Bus Number 06: Dhaka University, Dhaka. 2. Bus Number 06: Jahangirnagar University, Dhaka. 3. Bus Number 02: Jagannath University, Dhaka. 4. Bus Number 02: Eden Mohila College & University, Dhaka. 5. Bus Number 02: Begum Badrunnesa Govt Mohila College, Dhaka. 6. Bus Number 02: Govt Tolaram College, Narayangonj. 7. Bus Number 01: Bangladesh College of Leather Eng. & Technology. 8. Bus Number 02: Dhaka College, Dhaka. 9. Bus Number 01: Dhaka Teachers Training College, Dhaka. 10. Bus Number 02: Bangabandhu Sheikh Mujibur Rahman Agricultural University, Gazipur. 11. Bus Number 02: Bangladesh University of Engineering & Technology Dhaka. 12. Bus Number 02: Shere Bangla Agricultural University, Dhaka. 13. Bus Number 02: Chittagong University, Chittagong. 14. Bus Number 02: Bangabandhu Sheikh Mujib Medical University, Dhaka. 2 buses are operating daily except Sunday. Fare is US$22 (BDT. 1500) for each passenger. One bus Starts from Dhaka at 7 AM BST and another one at 7:30 AM BST. Two buses start from Kolkata respectively 6:30 AM and 7 AM IST. One ac bus of 40 seats is operating from Dhaka to Agartala. Fare is US$ 10 or BDT. 600 per person.